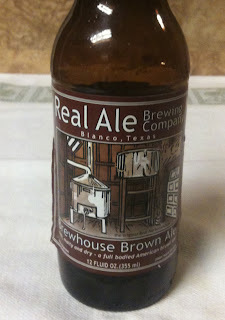 Time for a fourth beer from Texas' Real Ale Brewing Company: Brewhouse Brown Ale. It's one of their year-round beers, served in a twelve ounce bottle. Their web site lists 5.4% ABV and 33 IBUs. 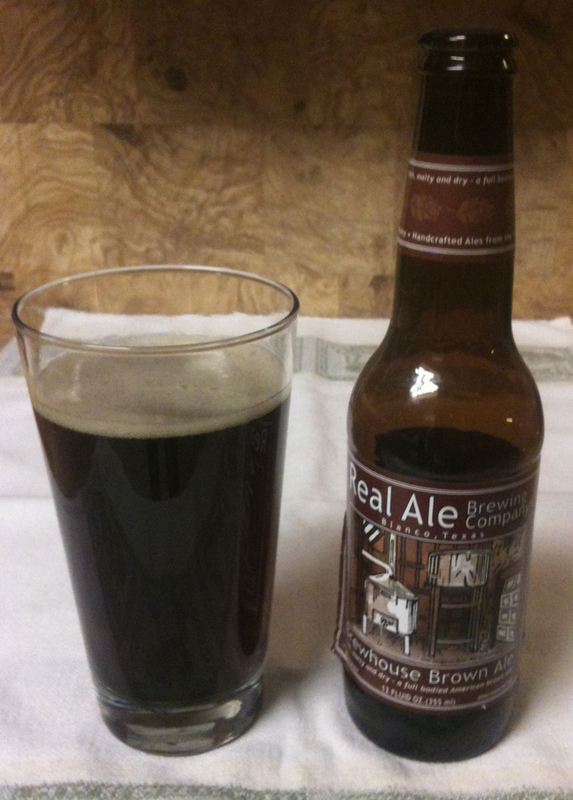 Brewhouse Brown poured with a small head, which was a light brown in color. 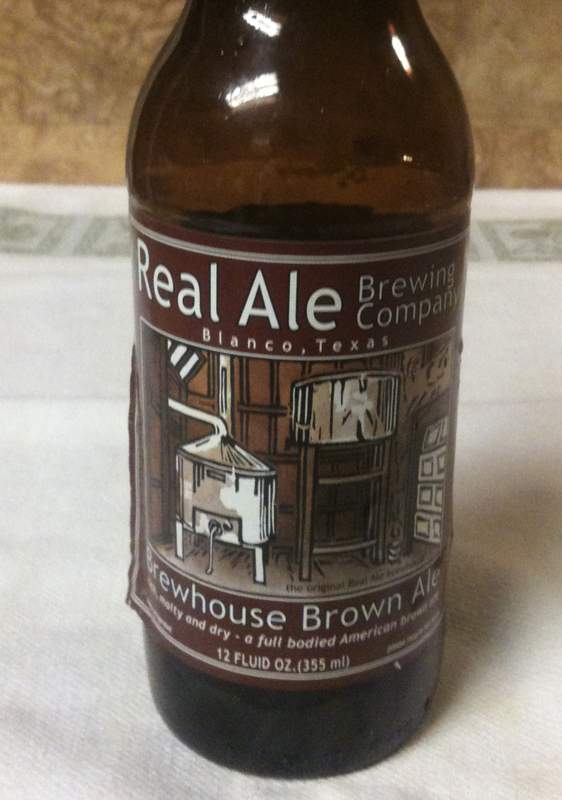 The beer is a medium or slightly darker brown, somewhat cloudy and has some sediment. There are notes of coffee and chocolate in the aroma. It has a slightly heavier mouth feel. There is some nice malt to the taste, but maybe not as much as you would expect considering the aroma and mouth feel. I would say it is a medium-bodied, maybe a little stronger. Very little bitterness. The finish is dry and gives way to mildly malty aftertaste.